Grace is a Managing Senior Engineer at Anchor QEA and a graduate of Marlboro College (BA American Studies) and Portland State University (MS Civil/ Env. Engineering). Grace is the President of WIE. Her email is gweatherford@anchorqea.com. Anju is a Principal Scientist with Geosyntec Consultants with over 25 years of experience. Anju is currently a Vice President of WIE and is based in the San Francisco Bay Area. She is a graduate of the University of California San Diego and University of San Francisco. Her email is avigwicke@gmail.com. Christina is a Senior Ecologist with Herrera. She is a graduate of Texas A&M University as well as Certificate Programs with University of Washington. Christina is the WIE Vice President and a member of the Seattle Networking Committee. Her email is environina@hotmail.com. Michelle is a Managing Fisheries Biologist at Anchor QEA and a graduate of the University of Washington School of Aquatic and Fishery Sciences (BS and MS). In addition to serving as the WIE Treasurer, she serves as chair of the WIE Budget Committee. Her email is mhavey@anchorqea.com. Marsi is an environmental scientist and Senior Project Manager at GeoEngineers, Inc. specializing in due diligence, site assessment and cleanup. She is a graduate of Portland State University. Marsi is currently serving as the WIE Board Secretary and serves on the Portland Networking Committee. Marsi's email is mbeeson@geoengineers.com. Michelle is a partner at Allen Matkins in San Francisco. Her practice focuses on land use law. Michelle has a Juris Doctor from UC Davis and a BA in Mass Communications from UCLA. She is on the Bay Area Education Committee. Her email is mmcdermott@allenmatkins.com. Rachel is an Environmental Professional at AECOM. She has a master’s degree in Environmental Science from the University of Cologne and a bachelor’s degree in Environmental Science from the State University of New York at Oneonta. Rachel serves on the WIE communications committee. Her email is Rachel.M.McDermott@gmail.com. Rabia is a Principal Economist and Managing Partner at Greene Economics, LLC. She has a master’s degree in Economics from Portland State University. Rabia is the Chair of the Seattle Networking Committee, and also serves on the Budget, Fundraising, Strategic Planning, and Seattle Education Committees. Rabia's email is rahmed@greeneeconomics.com. Joanna is a Senior Environmental Program Manager for the Port of Seattle. She earned her bachelor’s degree in Aquatic Toxicology from Western Washington University and her master’s degree in Environmental Management from the University of San Francisco. Joanna is the chair of the Seattle Mentoring Committee. Her email is florer.j@portseattle.org. 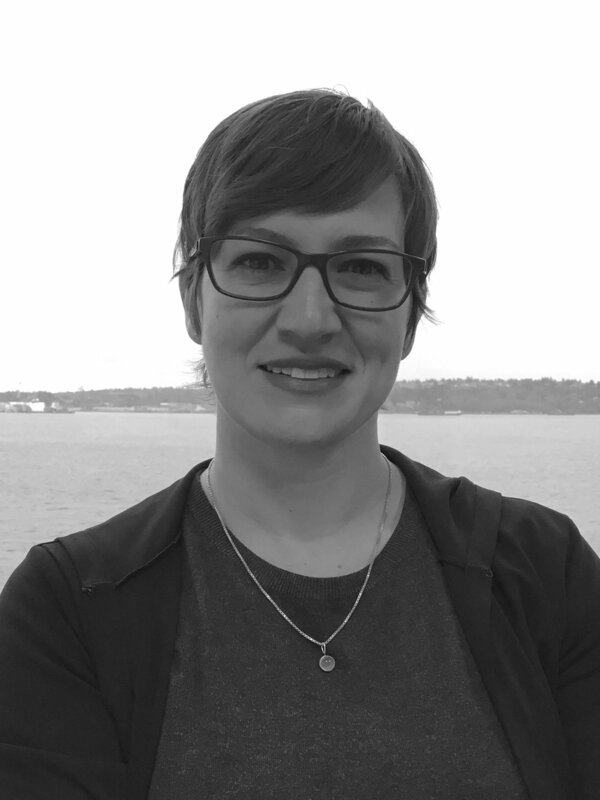 Jessica is a Certified Project Management Professional and Licensed Geologist at Sound Transit. She graduated from Western Washington University with a degree in Environmental Geology. In addition to serving on the WIE Board, Jessica is a member of the Strategic Visioning and Seattle Mentoring Committees. Her email is rocksaregneiss@gmail.com. Laura Kerr is an attorney at Stoel Rives LLP, with a focus on environmental and natural resources law. She helps clients solve complex challenges arising under federal and state environmental laws. Laura is a graduate of Lewis & Clark Law School (with a certificate in Environmental and Natural Resources Law) and Macalester College. Her email is laura.kerr@stoel.com. Mala is a Senior Consultant working at Integral Consulting in San Francisco, CA. Mala has a bachelor’s degree in Microbiology and Biochemistry from the University of Mumbai, India and a master’s degree in Environmental Toxicology from Clemson University, South Carolina. She serves as chair for the Bay Area Mentoring Committee. Mala's email is mpattanayek@integral-corp.com. Monica is an Air Quality Scientist with Jacobs. Monica received her bachelor’s degree in Chemistry from Wheaton College in Massachusetts and her doctorate in Environmental Sciences and Resources: Chemistry from Portland State University. Her email is monica.e.wright@gmail.com. Emily is a Project Scientist with GeoEngineers. She is a graduate of Western Washington University with a bachelor’s degree in Environmental Science. Emily is the Chair of the Seattle Professional Development Committee. She is also a member of the Strategic Visioning and Communications Committees. Her email is eduncanson@geoengineers.com. Sarah is an Environmental Specialist and Project Manager at David Evans and Associates, Inc. She holds a bachelor’s degree in biology from the University of Puget Sound and a master’s degree in Environmental Science and Management from the Bren School at the University of California, Santa Barbara. Sarah serves as the Chair of the Portland Networking Committee. Her email is sarah.betz@deainc.com. Rachel is a Staff Engineer at Kennedy/Jenks Consultants. Rachel is a graduate of Stanford University and serves on the Bay Area Mentoring Committee. Her email is rachelmorgan@kennedyjenks.com. Carrie is a Senior Associate Project Manager at Stantec Consulting Services Inc. in Portland. Carrie has a bachelor’s degree in International Affairs from Florida State University. She is currently serving as chair of the Communications Committee. Her email is carrie.rackey@stantec.com. Ginna is a Senior Program Manager at Arcadis U.S., Inc. and a graduate of Clark University (BA Geography). She has been in the environmental remediation industry for over 25 years and serves on WIE’s Bay Area Communications Committee. Ginna’s email is virginia.demetrios@arcadis.com. Kathryn is Partner at Downey Brand LLP. She has a Juris Doctor from UC Hastings and a bachelor’s degree in English from UCLA. She is Chair of the Bay Area Networking Committee. Her email address is koehlschlager@downeybrand.com. Melinda Borgens is an Environmental Scientist at AECOM. She is a graduate of Oregon State University with bachelor’s degrees in Environmental Science and German, and she is currently pursuing a master’s degree in Environmental Management from PSU. Melinda serves as the Chair of the Professional Development Committee. Her email is melinda.borgens@aecom.com. Shira is a registered geologist at AECOM in Portland, Oregon with a focus on contaminated site investigation, remediation, and allocation. She is a registered geologist in Oregon, has a master's degree in biogeochemisty from UC Davis and a bachelor's degree in microbiology from OSU. Shira's email is shiradegrood@gmail.com.